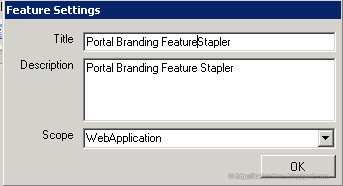 Feature Staplers are the best way to build branding solutions in SharePoint. 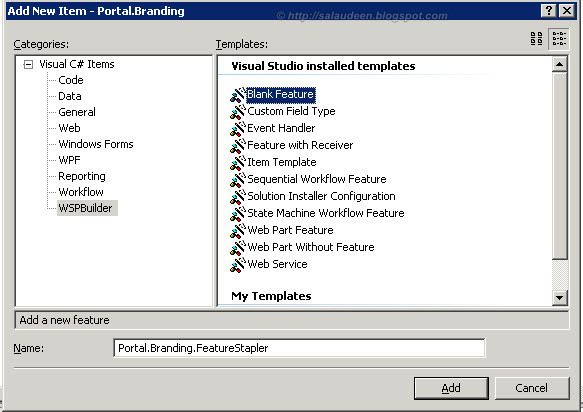 Once deployed branding will be automatically applied based on Site definition. 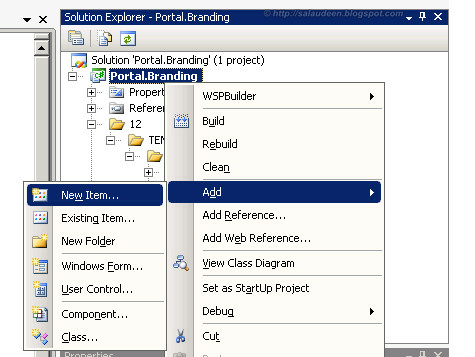 Overall Steps: Create a WSP Project and add 2 features in it. and another one for Stapling the feature - Binds the feature with site with Site definitions. 3. 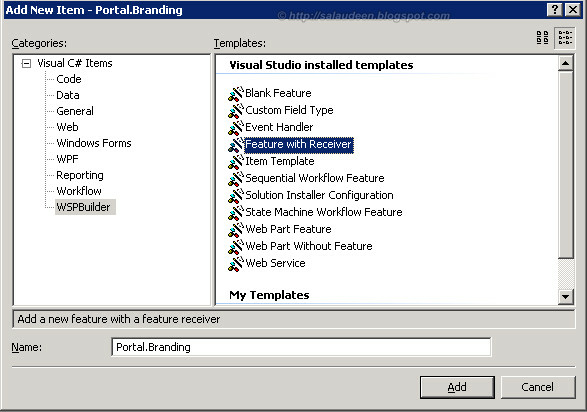 Under "WSPBuilder" choose "Feature with Receiver", Enter the Name for the feature. 4. Set the scope for the Feature as "Web" meaning sub-site. 5. Now, add the feature for FeatureStaple: Add New Item, and this time choose "Blank Feature"
6. Set the scope for FeatureStapler as "WebApplication"
7.Add your own Master Page, CSS, Site Map files, Custom Navigation Provider, etc. to the solution. Update the Feature.xml with additional entries like Title, Icon, as below code. // Calculate relative path to site from Web Application root. //Revert the Master page to "default.master"
Now, our solution is ready! 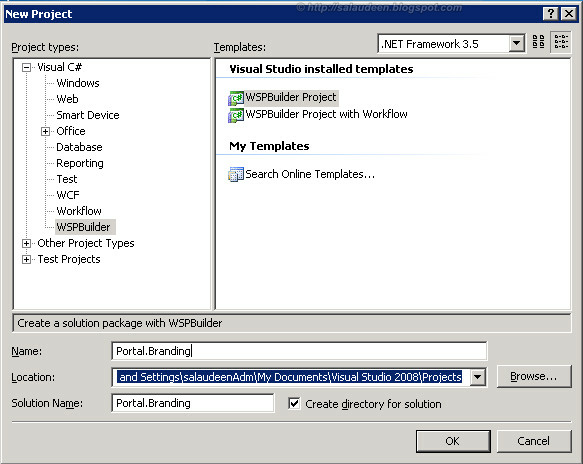 Build the WSP, Install the solution, Activate the FeatureStapler Feature at web application level. 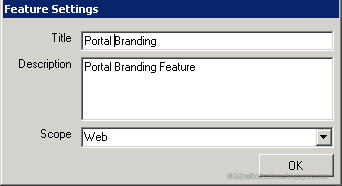 Activate the Branding Feature for existing sites. Important: Since we used Feature Stapling, new sites will get this branding automatically on their create event. How about existing sites? well, for existing sites, we need to activate this feature manually in order to get the branding applied! I followed your guide and its working fine for using a custom Master Page with my sites but I am wondering what to add to the Feature Event Receiver to add a Web Part to all sites that are created...do you have any idea? You can Create a Feature for Web Part and use the Feature stapler to bind it. For existing sites, Just activate the feature using STSADM. thanx alot you saved my time. 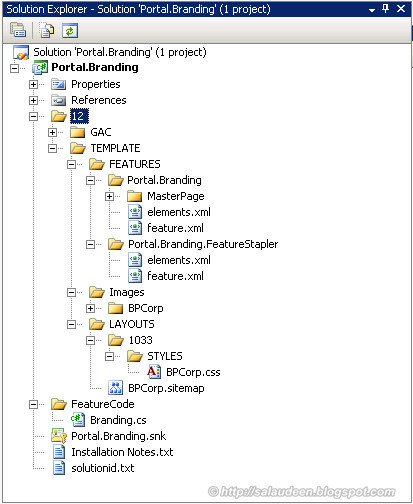 As meeting workspace is a different site template, change the feature stapler's template association. E.g. Instead of "Global" use: MPS#0 for basic meeting workspace. how to keep a static notification across all the site pages in 2007? We want to get a message displayed on the each page of the SharePoint site.